This is one layout plan of a typical bungalow built in the nineteen fifties. 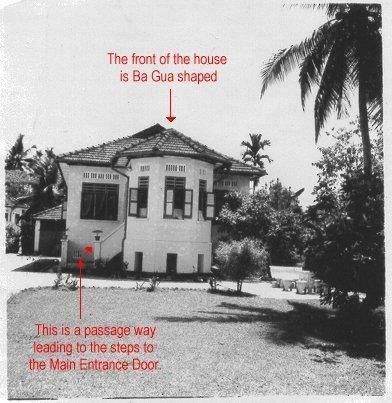 Notice that the head (or front of the house) is shaped like the Ba Gua? 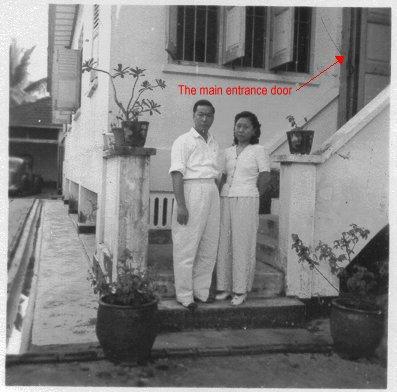 This is a picture of the same house taken directly in front. 1. 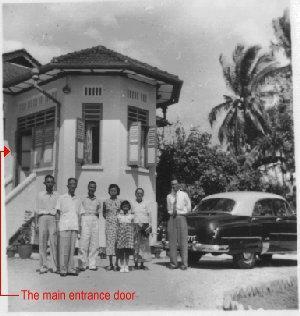 You will notice that the main entrance of the house is hidden and you have to walk up the stairs. 2. Here, you will notice that the main entrance of the house is " well protected ". The main entrance door is never exposed to any direct sha or poison arrows. 3. From the above picture, you will notice that even the drive-way is not directly `aimed' towards the passage way leading to the main door entrance. A closer view of the front of the house. 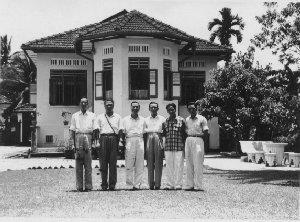 My grandfather and a group of friends posing for a shot. 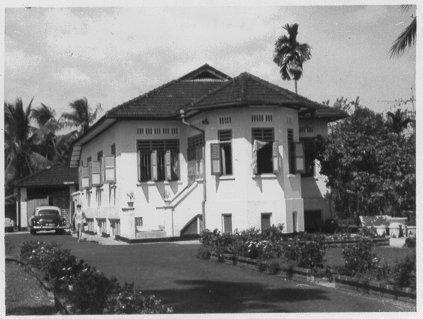 This view clearly shows the main entrance of the house. (On the far left of the picture). This is close-up view of the passage way leading to the main entrance door.